Was just wondering if it is getting too much sun reflection off your fence and drying it out. ( Almost like sunburn possibly) Try putting a sheet of shadecloth or hession between the tree and the fence to cut back reflection. Hopefully this will help. 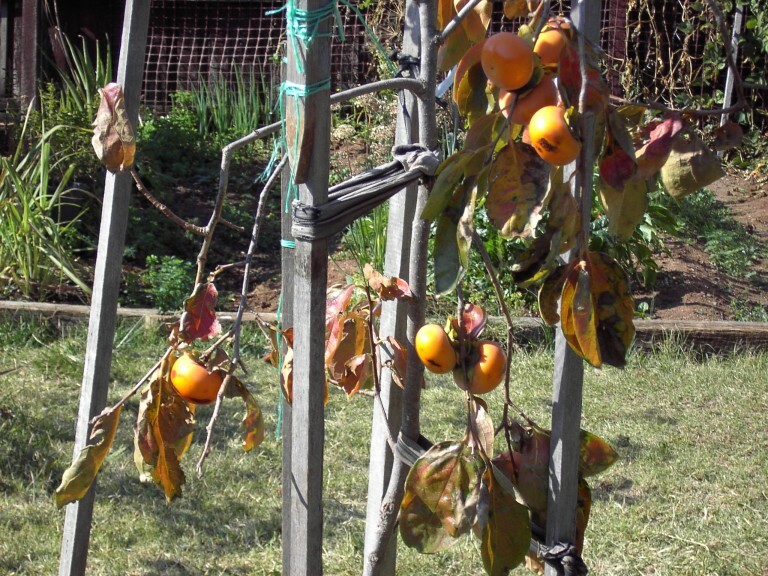 The trick with persimmons is to give them all the good things in spring when they do most of their growing and then you will almost get away with neglecting them for the rest of the year. As the buds begin to swell give your tree a deep drink, fertilize it and mulch it with a deep organic mulch, it will push off beautifully for you. Melissa - I believe Correy is working on a simpler log in for us as we chat. Kath, do you know how often to a persimmon tree needs to be trimmed? Like every five years or every 3 years etc..? I can't find out this information anywhere. Trees require little pruning, but can be pruned to an open centre or modified central leader. Young trees are initially pruned back to 80cm. 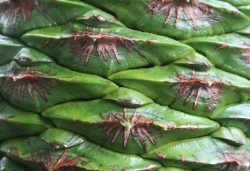 New shoots are then thinned and pruned to form a well-shaped tree with wide angled branches. If branches become long and straggly, then these may need reducing in length for manageability and to prevent them breaking under the weight of the fruit. If trees start to overbear or become very straggly, they can be drastically cut back to give them a fresh start. They can also be pruned to form a hedge or an espallier. Thanks Kath. I couldn't find that information anywhere. I wonder if it's a good idea to graft an astringent persimmon scions (don't know the variety) onto a non-astringent persimmon tree w/c is fuyu ? I usually prune mine during winter dormancy. i have seen them in wandilla nursery. 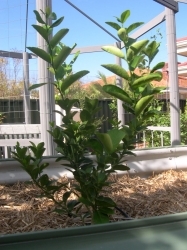 Hi Val - have same alkaline sandy soil problem - I have 15 citrus trees (in limestone soils - the worst for iron chlorosis) - all doing well 4 me now. When the trees where young i dug pits close by, filled them with compost n scraps and lots iron sulphate (and Zn sulphate too - the other criminal in alk soils) this got them going (free of interference from surrounding soil) while i improved the top-soil - I use lots of manure, clay, iron and Zn sulph but mulch with (acidic) pine bark for the long term solution. I also keep an eye on Manganese deficiency but have had no prob's yet. These 3 worst culprits in alkaline sandy loam. My trees 3 yrs old and got 2 full buckets off my west indian lime last week - so proud of myself/the tree!!. U can use agricultural sulphate to acidify soil too. The pine bark has worked so well that i now just chuck the iron and zinc sulphate on top and water the whole lot in. 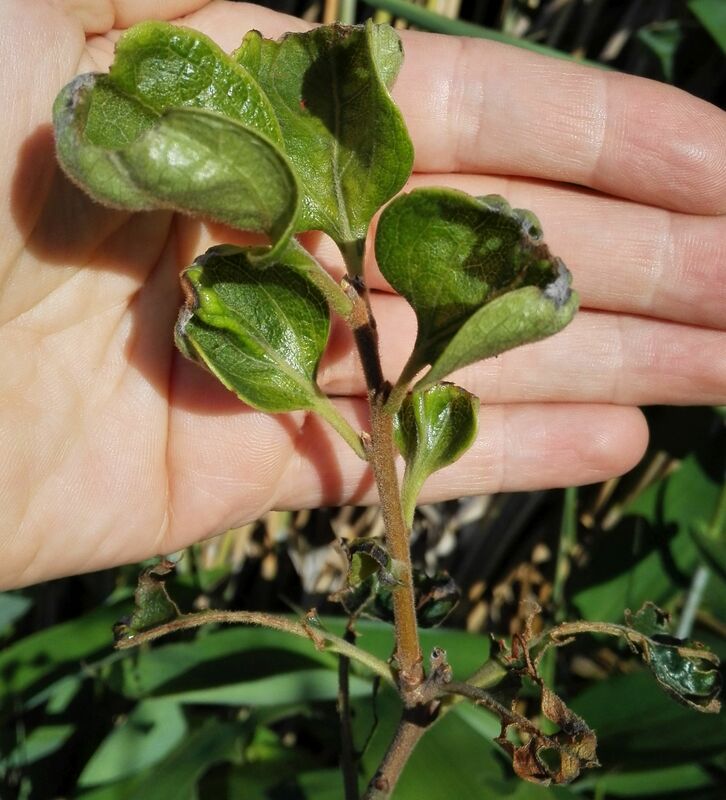 A few of my trees get burnt margins - this is usually a classic sign of K+ deficiency or salinity. I corrected for K+ to no avail - I realise now it's just simple sun n wind burn damage. Trees affected by this for my conditions are mainly the Fuyu, loquat, jaboticabas and grapes. 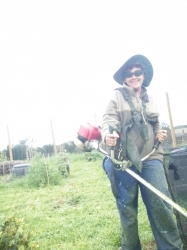 As i have little luck with beans and avocados (which are very salt sensitive) I also hose my trees down now and then in the summer (i am close to ocean) I hope this is of some help. 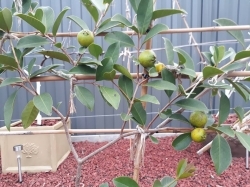 Hi, Can I plant a Hachiya persimmon tree in a pot? And do I only need one tree for it to fruit? Thank you. I have 3 Fuji persimmon trees (all about the same age) but only 2 of them started to bear fruits 2 year ago. The 3rd tree is the best looking tree but bears no fruits. 1. Most of the fruits started to drop on the ground in early June every year, so only about 10 fruits remain on each tree until ready to eat. What can be done to avoid losing the fruits so prematurely? 2. What kind of fertilization do I need to buy? and when should I apply the fertilization ? 4. Any particular mulch that I need to buy? I would like to buy a Fuji Persimmon to go here in Broome,WA. 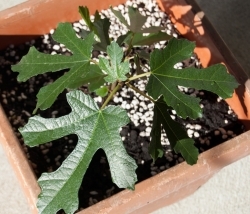 Is our tripical climate suitable and if so where would be the closest place to purchase one and how do I know if the tree is "self fertilizing"? Can anyone help? .I am after a NA next as i have an A type "hichya" and would like to compare growth habits and the likes.Im not sure bout where and when in Broome, maybe the best bet is to ring Daleys and ask to talk to kath. There is dwarf/semi dwarf and full size so maybe depending where you are going to plant, would be best to ask some questions. I have a Fuyu that I got at Bunnings a year ago - it was an advanced tree as that what all they had. I didn't hold out much hope for it here - but lo and behold - it is carrying about 8 fruit in it's first season and doing well. It's a pretty tough plant as it's sandy, windy, hot and salty here! My Ichikikijiro did the same thing... although it was sunburnt when I purchased it from Tass1 Trees. I think wind burn is also a factor at the moment. Well I hope it is this and not something more sinister. I would love to show you a picture but all the damaged leaves have since blown off. There is a photo on my edibles page (just use the link on the right). My tree does have some new growth on the top, otherwise it is just a stick. They like acid to neutral (ph 6.5 - 7.0) well drained soil. Do not mulch too close to the trunk as they are susceptible to collar rot and root rot if they are over watered. I give mine a deep water once a week and a surface sprinkle when the temp is going to be over 33/34. I used Drought Shield on the new growth to help it retain leaf moisture from the heat and wind and so far they are still looking healthy, but it didn't do much for the damaged leaves. I will upload a picture later, and hopefully someone will confirm that it is no more than heat and wind damage and not a disease or something else. The picture is the one from my edibles page which I took a few weeks ago. I will post a recent one as soon as I can. Glory, Hachiya is an astringent persimmon which means it needs to be super ripe at which time it is truly delicious. You can pick them when fully coloured and leave them in the fruit bowl until they are very soft and the skin is almost transparent. It's a bit like eating apricot jam. I'm looking for the right Persimmon variety for my yard and could use some help. I'm in a bad fruit fly area but have enough cold in winter for a short reprieve. I was told by a friend to buy a late ripening astringent variety for that reason. It also needs to be fairly small. Does a Nightingale fit the bill? I don't know when it ripens or if I can harvest when still hard. Any other suggestions? Thanks. 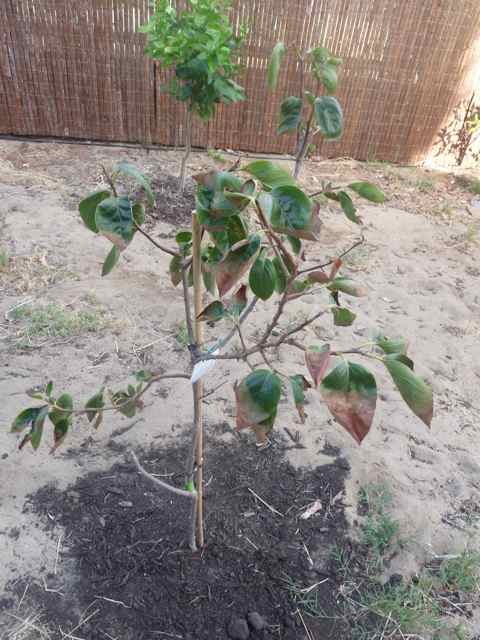 Hope you can help - i have just planted my nursery brought fuyu persimmon tree into the ground and its not looking too good. 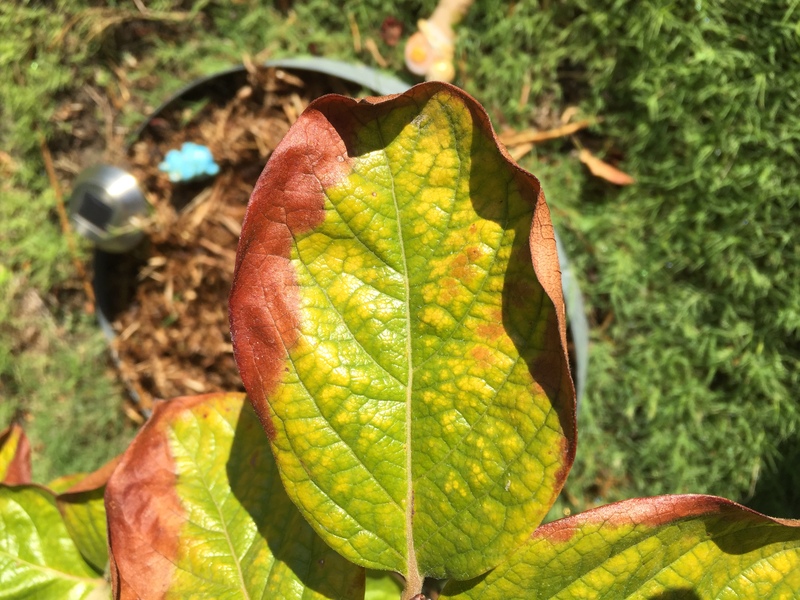 There are some new growth, so i'm happy with that, but most of the older leaves are browning around the edges - can anyone help advise what i need to do to help my persimmon? I'm watering once daily (early-mid morning) so i think its getting enough water. I can sympathise kim - I battled to keep my Fuyu going for 2yrs up here - but it croaked in the end...it was far too hot, salty and windy for it here. I am wondering if you should get some shade cloth over it for this first summer - and maybe ease up on fert's - just seasol and a little blood and bone now and then...? Are u near the coast? Does it have any shade at all? Is it windy there? So sorry to hear your tree didn't make it - i'd always assumed that persimmon would be one of the easier trees to grow. A lady i used to work with wasn't much of a green thumb but her tree is absolutely stunning and is very prolific, so i'd assumed that i'd have the same success. i haven't started with the fertiliser yet (except for the coffee grounds)as i remember reading that new trees need to get used to the natural environment first(???) i will definitely be stocking up on seasol, so thanks for reminding me - when i last had a go at gardening a couple of years back propagating cuttings of various fruit trees, i remember i had some success using only seasol. should i be cutting back from the watering? i really don't want collar/root rot, but i'm scared the summer heat will kill it. i'm in the suburbs, so not too close to the coast and my little tree is kinda close to a wall so its somewhat sheltered from any strong breezes, but it is in full sun. 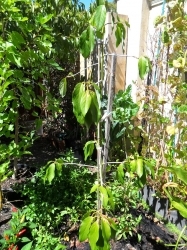 on another note, my soursop, lychee and custard apple trees planted at the same time in the same area seems to be doing ok... at least they look alright... fingers crossed. I don't know for sure kim.. :( I had/have lychee and custard apples in the same orchard too...they were easier for me than the Fuyu?! Mine was a PITA. Susanna Lyle states "..young trees do not like direct sun, or hot sun, whereas older trees do.....They are not tolerant of windy locations..."
Otherwise they seem to be ok - but maybe someone else here is more familiar with any fussy habits they have? That's why I was thinking maybe you could get shade over it until it's older...? I'd try to keep the summer sun off it from noon-ish onwards..
A moisture probe ($10) from Bunnings or such should help u out with the watering...I would have thought once a day would be ample - but let the soil guide u. A bit of humidity around it on our scorching days would likely help too.. 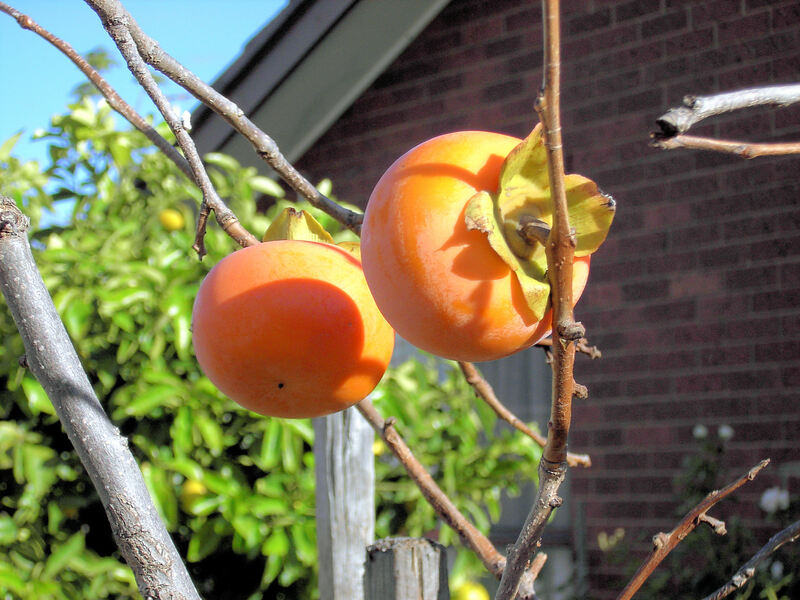 I would like to get a Persimmon tree for my back yard - I have set my mind on two varieties: Nightingale and Ichikikijiro. Has anyone grown these varieties? If so, which one has better flavour? To follow up from BJ, I..chiki..k..jiro is a squarish flat non astringent type, doesnt taste much different to Fuyu, can be eaten when hard like an apple, or when soft, but Astringent types have a richer flavor when fully ripe. ichikikijiro is called "jiro" in some parts of Australia, but Jiro is actually a large conical type fruit. Hi, I have a new Fuyu persimmon, it is about 1.5 feet tall, I have had it in a new garden bed for several months, but it isn't doing well. Gets heaps of sunlight, some shade too in the morning. Maybe I just need to water it more? (currently doing once a week or so). As you can see in the pics, the leaves are going black, and getting eaten too i suppose. when did you plant it? Winter planting is best time - Looks very sad - they only do one flush so maybe it will grow a bit better next spring? Give it some afternoon shade and wind protection and watch for bugs eating it. 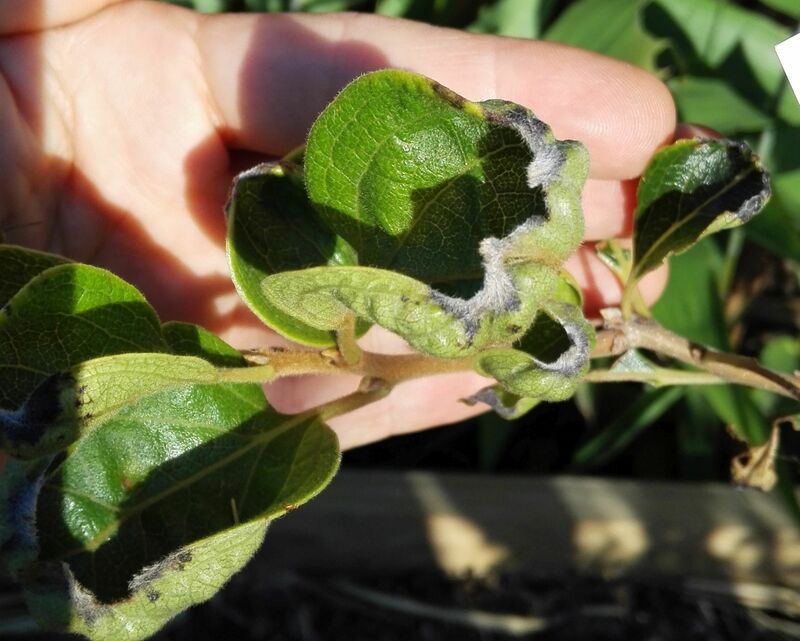 Looks like a caterpillar or grasshopper are feasting on your persimmon leaves. Investigate, if you cant see any caterpillar it might be grasshoppers because they are very active at this time of the year. The hoppers are harder to control because they are very mobile. Spray your fuyu regularly with organic mixture of chili pepper and garlic concoction to make the leaves unpalatable to the critters. You can easily make them but, if you couldn't be bothered just buy a ready made one from bunnies or from your local nursery. 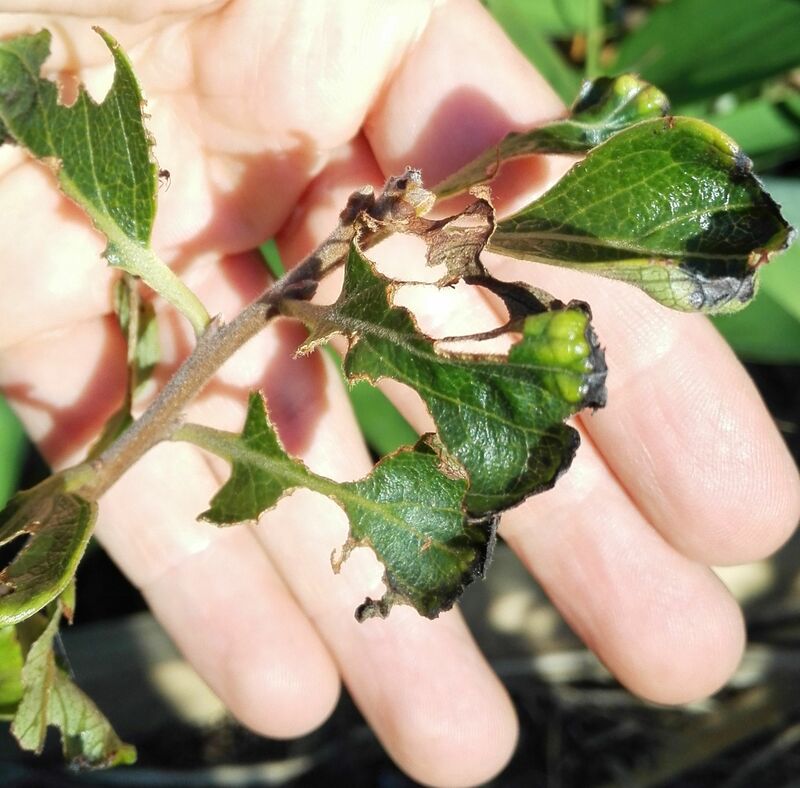 Looks like your diospyros kaki is also suffering from calcium deficiency due to the distorted leaves and blackened edges. Apply lime, dolomite or gypsum according manufacturers specs. 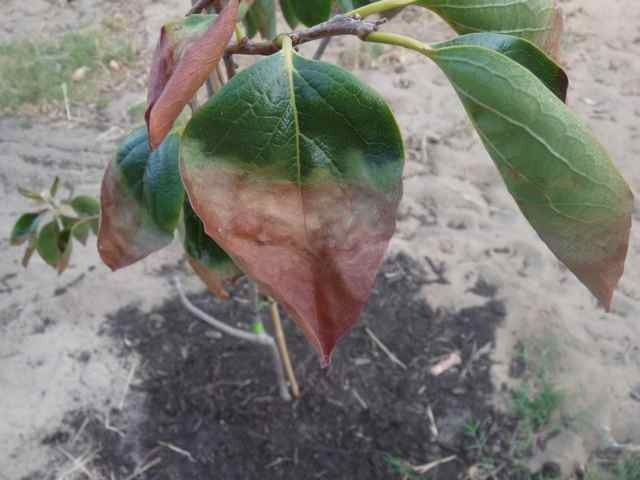 Calcium deficiency is also exacerbated by insufficient or irregular watering. Uniform calcium uptake needs regular hydration to be effective. 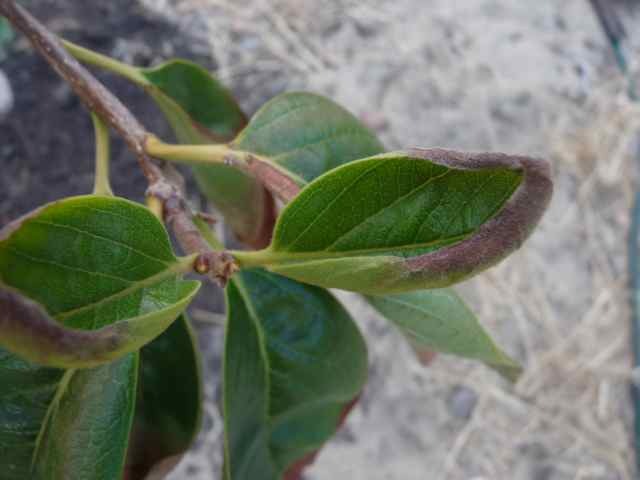 If unsure, have your leaf tissue analyze for more accurate deficiency analysis. With regards to watering, you should water your fuyu more frequently because of the longer and recurring heatwave. The shade should be from the sizzling afternoon sun not from the pleasant morning light. Some newly planted trees will stop growing and suffer from sunburn if exposed to too much afternoon summer sun. If you can, shelter it from the afternoon fireball and only exposed it to the mild morning sun for half a day. Maybe with these subtle changes, will kickstart your fuyu to show some interest in life. I can only envy everyone in this forum, needing information to help them grow their persimmons. I cannot find a plant anywhere. 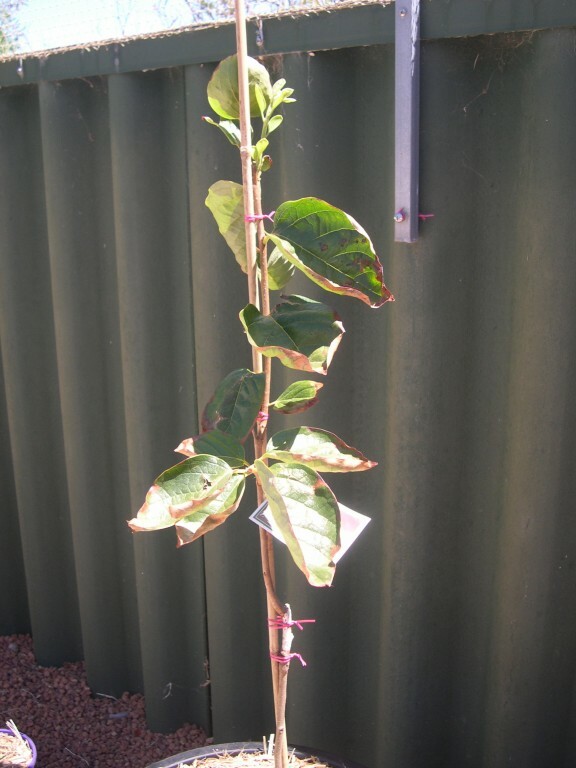 Have searched the internet in search of young persimmon trees all around the Brisbane area. Can't find one anywhere without first making an appointment, and don't like to do that in case I don'r buy. Can anyone provide me suggestions to revive my Persimmon tree. I planted a Persimmon tree last year. This year it got lots of leaves and flower but none of the flower survived at the end. 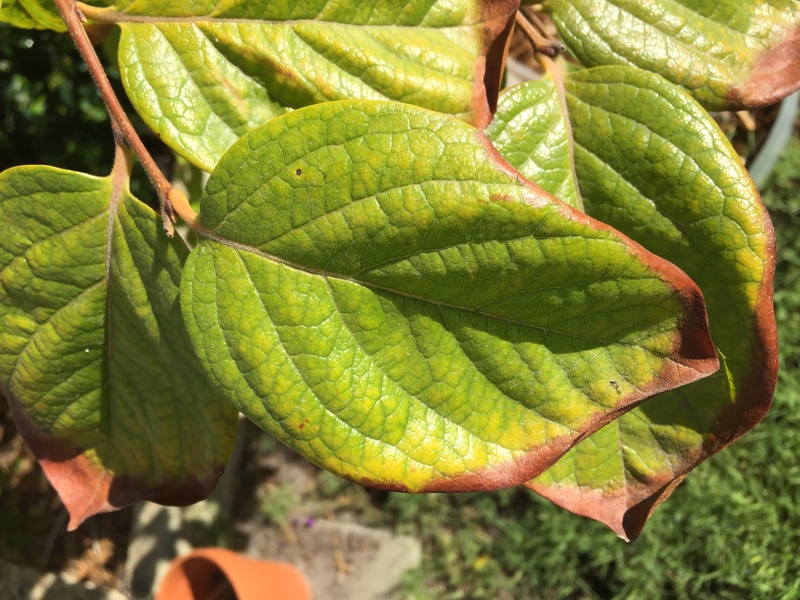 I am also noticing that the leaves turn yellow and brown at the edge (Figure attached). I am based in Western Australia and the soil type is coastal plain soils. It is primarily composed of deep sands. They range from neutral to acid with a pH range of 4.0 to 6.0. Phosphorus retention is extremely low. Nutrient loss occurs readily through the soil into groundwater and via storm-water drains. I am not an experienced gardener. Not know much about it. Any suggestion will help. 2. Level of salt is too high for Persimmon. Thanks for your advice. Appreciated.